During the presidential primaries last year, both Democratic hopeful Bernie Sanders and Republican Donald Trump promised to put an end to offshore tax havens. Sanders wanted to end the ability of companies to move profits overseas by requiring a tax for the year that those profits were earned. Trump had a different plan. Trump also supports putting an end to deferring the taxes earned on corporate income or profits. Therefore, companies would not be able to shift those profits overseas to try to avoid tax responsibilities. In addition, President Trump’s plan would impose a 10 percent tax on any corporate cash being held in other countries. This way, some of that money would come back into the country to support the economy. The plan would also leave alone the current foreign tax credit, just as Sanders had proposed. With the foreign tax credit, companies can avoid having to pay taxes twice. Citizens for Tax Justice says that the top companies in the country are avoiding up to $695 billion in taxes per year through $2.4 trillion in holdings overseas. The Congressional Research Service has a much lower estimate of only $100 billion in taxes. Trump (as well as Sanders) also came out against tax inversions during the primaries, and he has included plans to get rid of them in his tax proposal. A tax inversion, which is also known as a corporate inversion, occurs when a company moves its legal residence to a country that has a lower tax rate. The company still conducts its primary operations in the United States (or its other country of origin), but it does not have to pay taxes there because its legal address is not there. Trump has proposed lowering the corporate income tax to 15 percent across the board – whether you own a Fortune 500 company or a small startup or you are a freelance writer or artist. The justification is that companies will not feel the incentive to use tax inversions and, therefore, we’ll earn more in corporate tax revenue. The CTJ estimates that many Fortune 500 companies are keeping billions of dollars overseas. It estimates that Pfizer had $194 billion in 2015 and Apple had $200 billion. However, it is difficult to know for certain how much companies are keeping overseas because they would have to report this themselves, and few are likely to do so (having no incentive and plenty of disincentive). In 2014, the CTJ issued a report that said that the earnings U.S. companies report making in the Cayman Islands and Bermuda is 16 times more than the gross domestic product of both countries – a feat that is clearly impossible. Therefore, there is some creative accounting going on by companies to try to avoid taxes. It is still early in the Trump presidency, so it is unclear what, if any, of these proposals will actually be implemented. If they are, it could mean big changes for corporations. They may end up paying more taxes in the United States while still paying lower taxes overall. If you are uncertain about your foreign tax responsibilities, it is important that you talk with a tax law lawyer in Flagstaff to ensure that you don’t run afoul of the law. 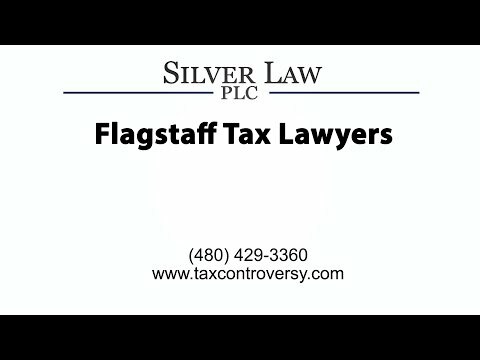 A tax attorney with Silver Law PLC in Arizona can help you. We represent corporate clients for tax audits or tax litigation, and we can provide advice about foreign tax reporting. We’ll help you understand the current guidelines, as well as your responsibilities under the proposed changes. Call us if you are currently facing sanctions for your foreign corporate activities or if you have questions or concerns about your tax obligations. An experienced Arizona tax law lawyer is ready to help you.